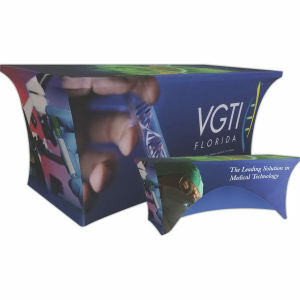 When your company attends a trade show, you want to make sure that you stand out from your competitors. 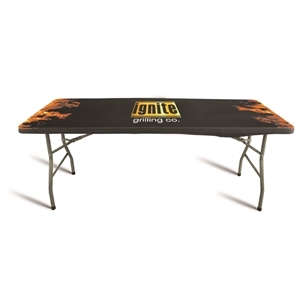 There is no better way to do that than by outfitting your booth with promotional items to reinforce your branding message, especially custom promotional table cloths. 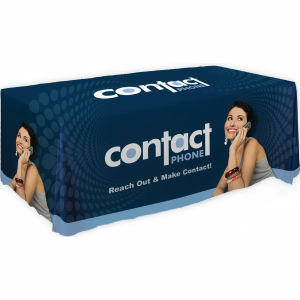 These customized trade show table cloths are a simple yet effective way of keeping your logo in front of attendees’ eyes constantly. 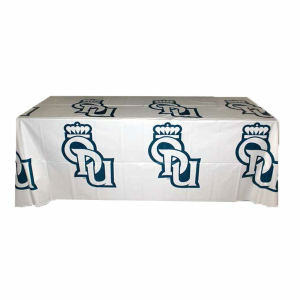 While people walk around the convention floor, you will immediately catch their with custom imprinted table cloths, personalized with a bold logo design. 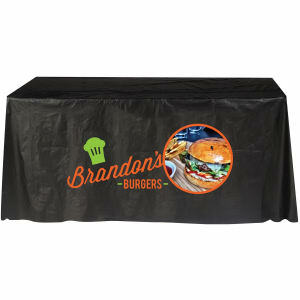 Everyone will know your name at the next trade show when you use our logo imprinted table cloths. 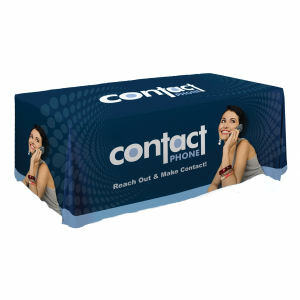 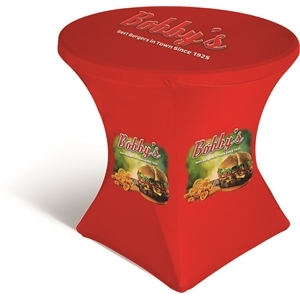 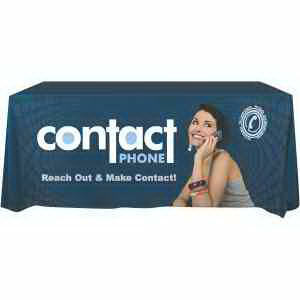 Keep your trade show and convention booth table tidy and put together with our custom promotional table cloths. 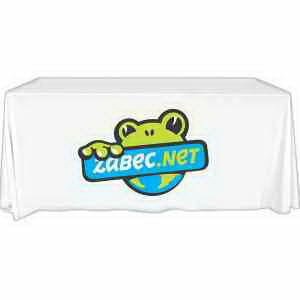 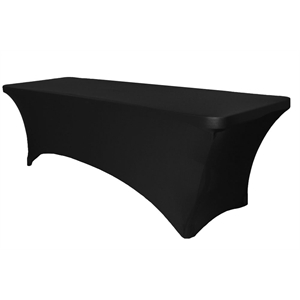 We offer an expansive selection of custom table cloths in different styles, sizes and colors that look perfect when personalized with your company name and corporate logo. 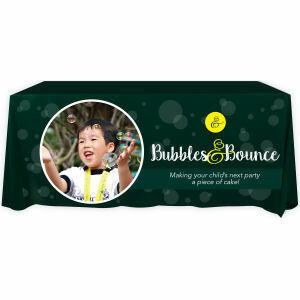 Details matter in the business world, so don’t forget to outfit your marketing campaign with every single necessary promotional item, including custom table cloths.